In case you somehow don’t already know: It’s never okay to reach out your hand and touch a Black woman’s hair without permission — I mean, how was that ever even a thing? Touching is clearly not okay, but there are a number of things that we, as non-black, should also consider when talking about Black women’s hair. Things like gawking at, commenting on, or cracking jokes about their latest style switch-up are equally inappropriate, and can make Black women feel singled out. These kind of dynamics can take place anywhere, between friends, with strangers in public spaces, or on public transportation. But things can get particularly complicated in the workplace. This piece was originally written by Ludmila Leiva for Refinery29. 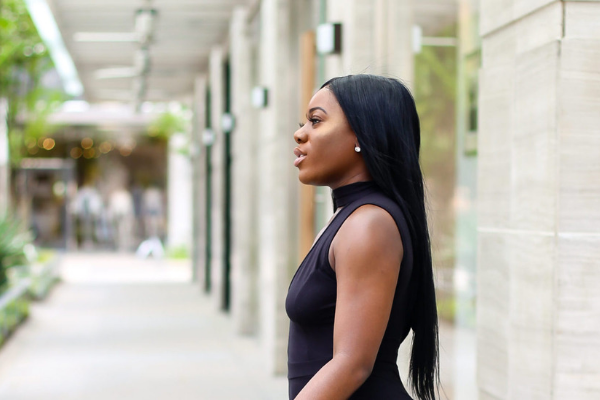 Check out the stories of one of our favorite women, Adunola Adeshola of Employee Redefined, and others.